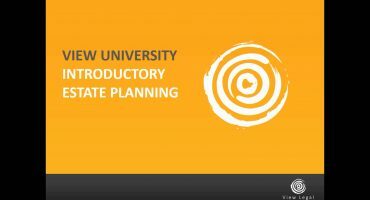 The introductory estate planning course in View University is designed to provide participants a strong foundation in all the key aspects of estate planning. The intermediate estate planning course in View University is designed to build on the introductory course. 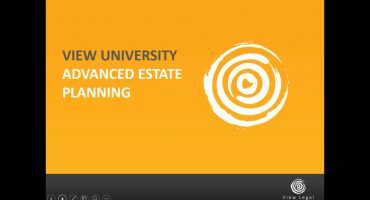 The advanced estate planning course in View University is designed to build on the introductory and intermediate courses. 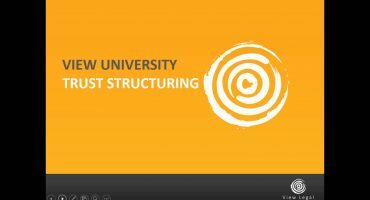 The trust structuring course in View University is designed to provide participants with a strong working knowledge of all key aspects relevant to structuring and restructuring trusts. The taxation of trusts course in View University is designed to provide participants with a strong working knowledge of all key aspects of the taxation of trusts. 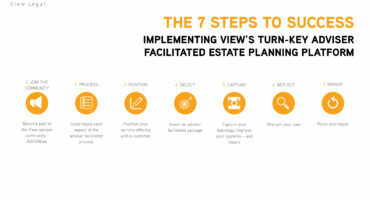 The 7 Steps to Success – Implementing View’s Turn-key Adviser Facilitated Estate Planning Platform unlocks for advisers a step by step guide on how they can immediately implement facilitated estate planning for their clients.